I thought 2010 is just last year, this is weird, it’s like time has stop in my mind, but in reality, everything is changing, this really scares me! This list of 43 things will show you how old you are, I know this is cruel, but we should all face the hard truth. Stay strong, my friends. 2. Will Smith is now older than Uncle Phil was at the beginning of Fresh Prince. 4. …and so did Eminem’s daughter, Haile. 5. She graduated with a 3.9 GPA from Michigan’s Chippewa Valley High School this month. 6. Sonic turned 23 years old this year. 7. And this is how old the Rugrats would be if they were real people. 8. 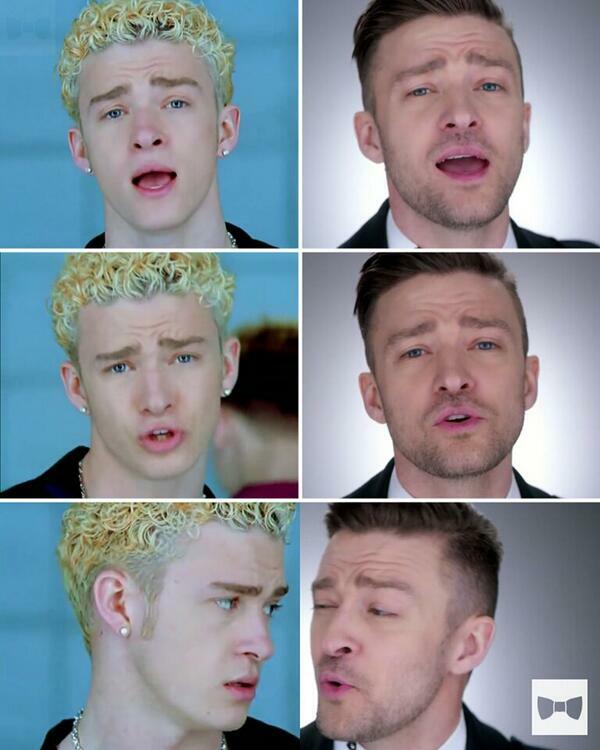 Justin’s infamous Ramen noodle hair happened 15 years ago. You’ll be happy to know he still makes the same exact expressions today. 12. …the final Friends episode aired 10 years ago. 13. Lenoardo DiCaprio is going to be 40 in a few months. He is currently turning into Jack Nicholson. 14. It has been five years since all Geocities websites have been deleted. 15. Kenan and Kel are 36 years old. 16. Kel is now a pastor and hosts orange soda parties. 17. Forrest Gump is 20 years old this year. 18. There hasn’t been a new issue of YM magazine in over 10 years. 19. Crispy M&Ms haven’t been sold in nine years. 20. Remember the little girl from the Missy Elliott videos? Well, this is what she looks like today. 21. The Taco Bell dog has been dead for five years. 23. The cast of Matilda just celebrated the movie’s 18th anniversary. This is what she looks like today. 26. Remember Angela from Boy Meets World? 27. John Candy has been dead for 20 years. Uncle Buck is celebrating its 25th anniversary this year. 28. Aaliyah has been dead for 13 years. There hasn’t been a new issue of Teen People in eight years. 29. Drake got shot on TV 10 years ago. His last time on Degrassi was six years ago. 30. These haven’t been for sale in over 13 years. HE’S OLD AS HELL, AND SO ARE YOU!